Kevin left his career at Nike to follow his dreams of being a change agent. 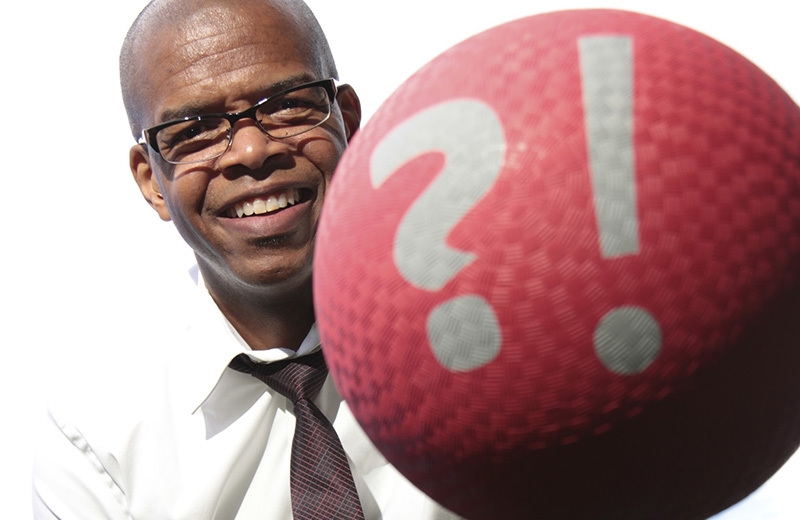 He has written a series of books titled around “the red rubber ball” that advocates bringing passion and play into your life. An hour with Kevin was one of the highlights for me of the ISTE conference. After Kevin’s keynote I attended a workshop hosted by Digital Promise, a non-profit organization authorized by Congress with the mission of helping to close the digital learning gap. Hosted by Jim Beeler, the Director of the Innovative Schools Initiative, the workshop explained the mission of Digital Promise while unveiling some new initiatives. One initiative in particular seemed interesting: educator micro-credentials. Micro-credentials are a form of digital badges to recognize professional development and the mastery of professional skills. Educators can submit artifacts like classroom videos or student work for review by experts and peers. After submission, teachers will earn badges to signify their accomplishments. To learn more about micro-credentials, click here and to participate in the micro-credential pilot program, click here. 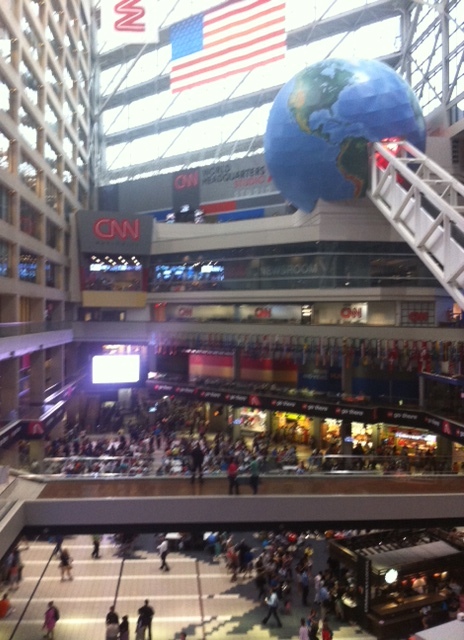 In the afternoon I attended a luncheon hosted by Houghton Mifflin Harcourt at the CNN Center. I was hoping to run into Anderson Cooper or Wolf Blitzer while there but I think they use a separate entrance. HMH put together a great lunch followed by a talk from Mary Cullinane, Chief Content Officer for the company. Mary gave an impassioned talk about how textbook companies need to adapt in a changing electronic marketplace. Her major points were clear and on point. However, it’s still difficult for schools to make the switch to digital texts as they are cost prohibitive and not very engaging (for the most part). Despite the inherent difficulties that exist in the e-marketplace, it seems from her talk that Mary is the right person in place to bring about change. After four nights and five days in Atlanta, I’m worn out and still thinking about all the experiences I’ve had. 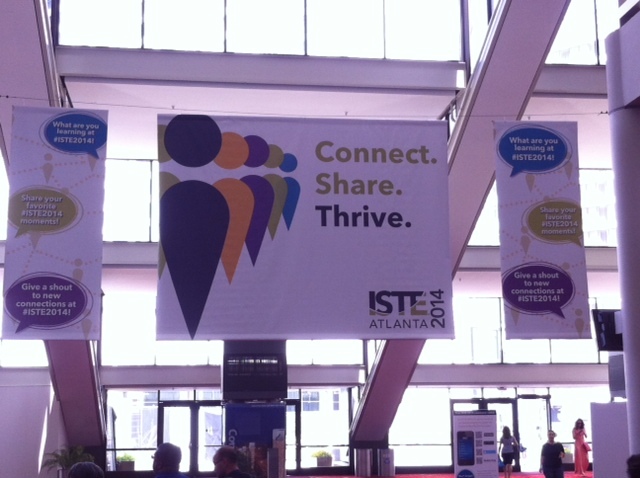 Overall, ISTE was a fabulous conference and I hope to attend again in the future and maybe even give a presentation. My fellow traveling companions and I still need time to reflect on everything that we learned. Next year, ISTE is in Philly and anyone interested in technology and education should consider joining the 16,000+ people that attend every year. 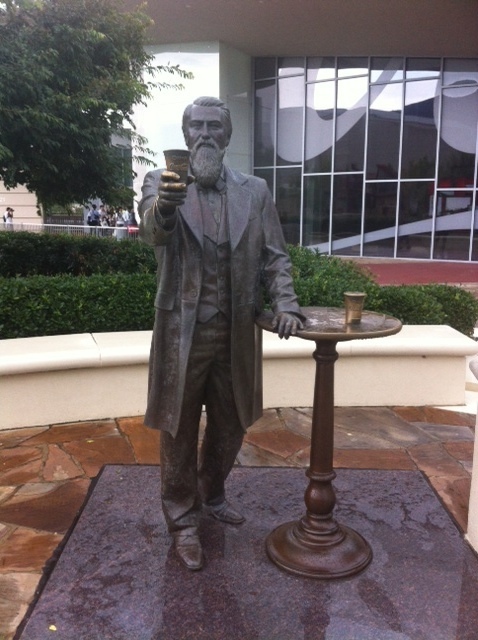 So, from Georgia and John S. Pemberton, the inventor of Coca-Cola: cheers.